The HDAV2000KLV is a High Definition video codec with support for extraction of STANAG 4609 KLV Metadata from HD-SDI sources. The HDAV2000KLV is built on established AMP ultra low latency, video and audio encoding technology. The HDAV2000KLV encodes video to the H.264/MPEG-4 AVC (Part 10) standard and supports extraction of STANAG 4609 KLV metadata from the HD-SDI input as per MISB 0605.3. The HDAV2000KLV also features 4 SD composite video inputs and a high performance audio controller with stereo input and outputs that allows audio to be captured from HD-SDI and Line inputs and synchronised with the captured video. 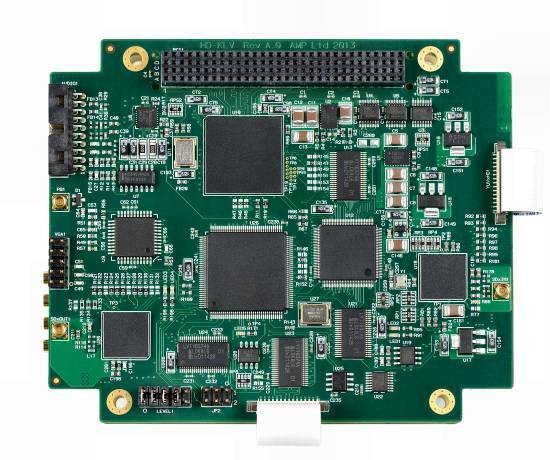 The HDAV2000KLV provides hardware decoding allowing previously recorded video and audio to be output via HD-SDI, and composite outputs. KLV metadata can also be output embedded in the HD-SDI output. The HDAV2000KLV is a dual card, PCI-104 form factor board set for systems with a PCI-104 bus. 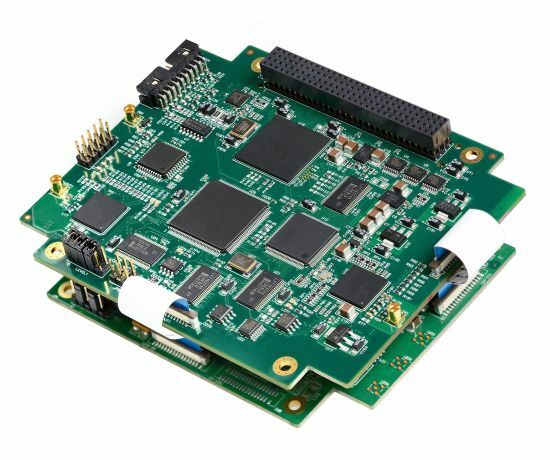 The HDAV2000KLV is supported by comprehensive SDKs for Video Recording and Streaming that minimizes development risk and shorten time to market. Flexible capture resolution, 16×16 pixel granularity. Interlaced and progressive resolutions up to 1080i60, 1080i50.